This is a short poem I wrote last autumn when I was remembering the wonderful work my Savior has done in me these last few years. Reading it again, almost half an year later, the words have begotten a fresh meaning due to my recent storm. 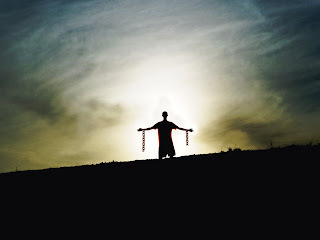 May it encourage and remind others of the freedom that comes when we are set free from the chains that once bound us. Chains of despair and depression. Chains of fear and worry. All broken by the power of Christ. All no longer hold power over those who have set their eyes on the One who sets the captives free. "The cross we carry is never so heavy as the chains from which we were freed." this is beautiful, true beauty is revealed through god. lord of all creation. I am curious about using the image you have here for a pamphlet for a support group in our church. If you are not the originator of the image can you possibly point me in the direction of whoever is? You can email me at awining72@yahoo.com. I look forward to your response! "His Proposal". I found your blog when looking for images of broken chains. all of nature declares . . .